This kitty preschool is not for kittens too young for first grade. 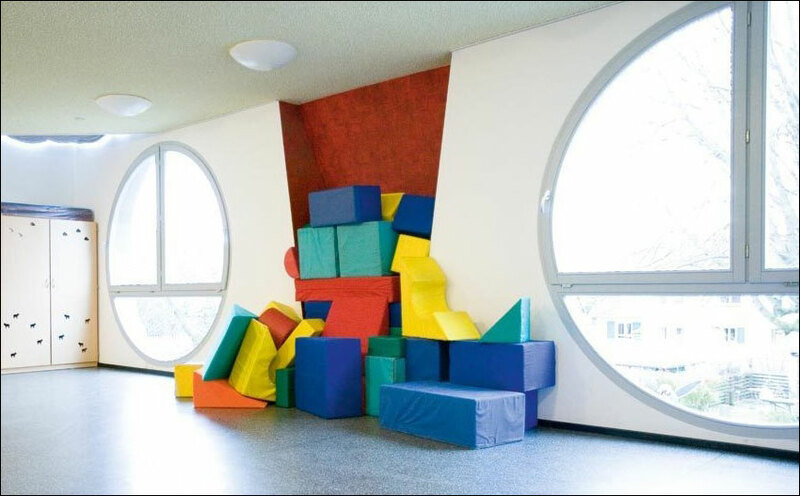 This is a preschool for human children. 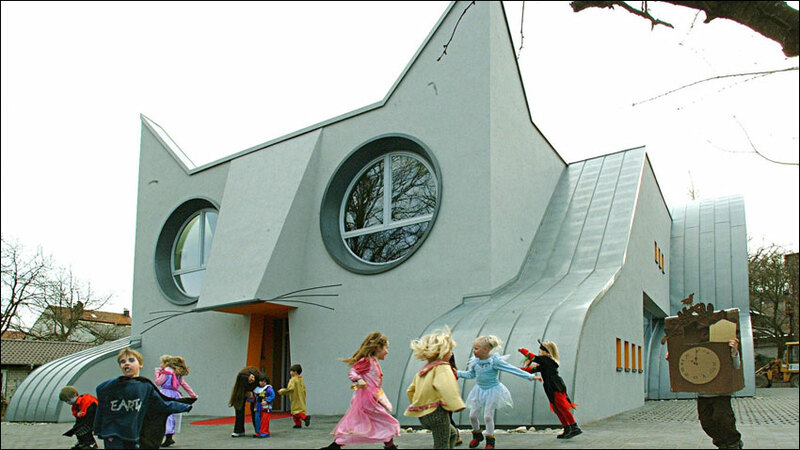 What makes is a "kitty" preschool is its shape—it is designed in the shape of a cat! Crouching like a sphinx, the school facade appears like the lying cat. Children enter through its mouth. The body of the cat consists of a locker room, classrooms, a kitchen, a dining room and a staircase. 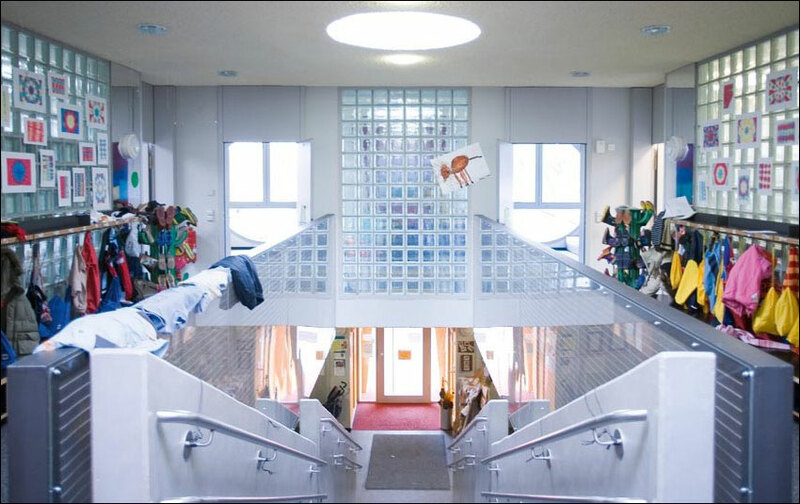 The cat's head is a main hall. The eyes make for large windows that fill the play room with sunlight. 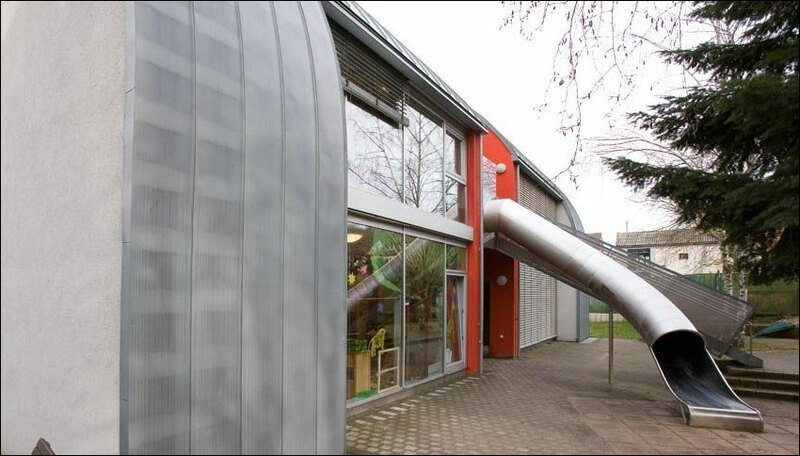 The cat’s back is a fuzzy green roof and its tail is a slide for the children to ride outside to the playground. 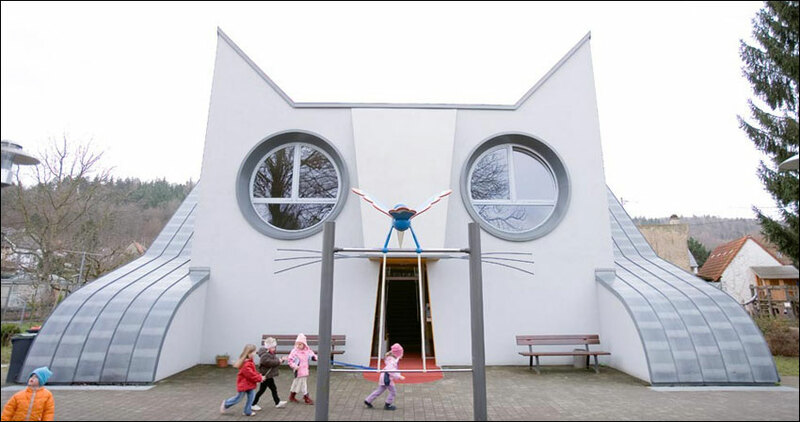 The pre-school in Germany is not the only cat-shaped building in the world. 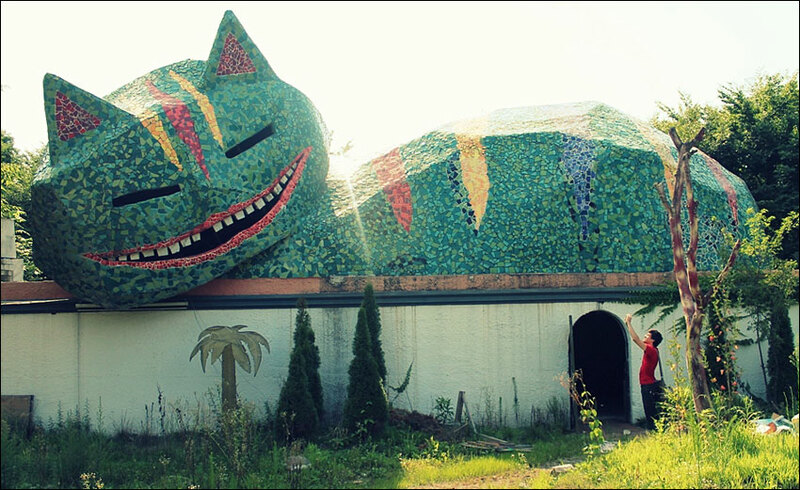 that features a building that is shaped as a smiling version of the Cheshire Cat. 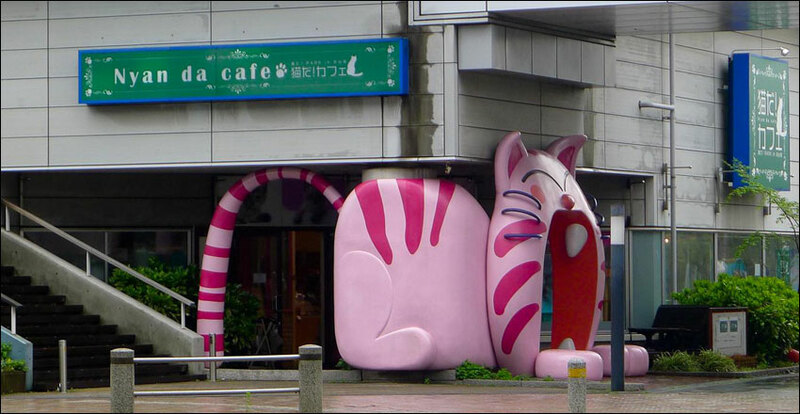 In Japan, there is a cafe with an entrance of a Cheshire cat. Customers enter through the mouth . . . 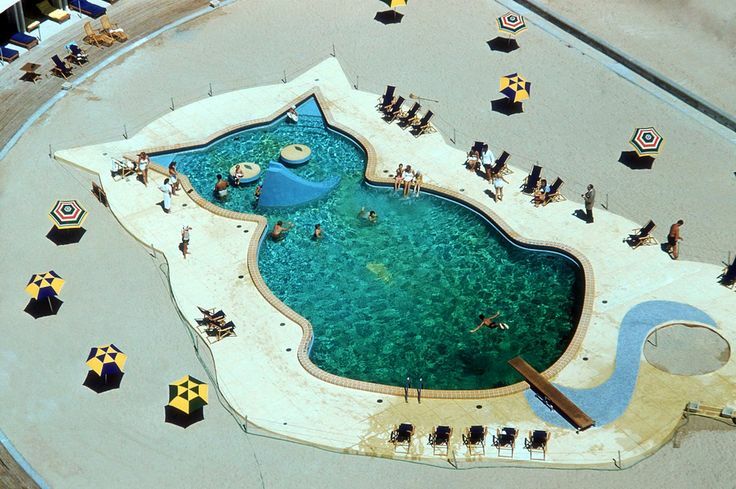 Finally, although not a building, in Miami Florida, circa 1955, the Fontainebleau Hotel had a swimming pool in the shape of a cat . . .